Title: "Morality and the Market"
Jean Tirole is the Chairman of the Board of Directors of Toulouse School of Economics, a Member of the French Council of Economic Analysis of the Prime Minister, a Member of the French Academy of Moral and Political Sciences, a Member of the French Strategic Research Council, and the Scientific Director of the Institute for Industrial Economics. He is also affiliated with MIT, where he holds a visiting position, and he is the Chairman of the Executive Committee for Institute for Advanced Study in Toulouse, which he co-founded in 2011. 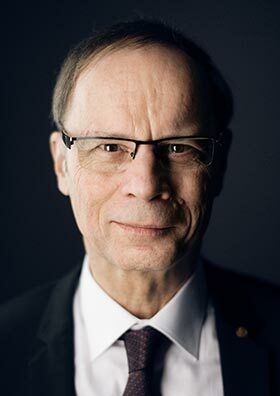 Jean Tirole has published over two hundred articles in international reviews, as well as twelve scientific books. His latest book entitled Economics for the Common Good, is accessible to a wide audience and is under translation into a number of languages. He is a laureate of numerous international distinctions, including the 2007 CNRS gold medal, the 2014 Nemmers prize in economics and the 2014 Sveriges Riksbank prize in Economic Sciences in Memory of Alfred Nobel. Tirole received the Yrjo Jahnsson prize of European Economic Association in 1993, the Levi-Strauss prize in 2010 and the Ross prize in 2013. Professor Tirole’s research covers industrial organization, regulation, corporate finance, financial markets and intermediation, organizational economics, macroeconomics and banking, and psychology-based economics. His contributions provide a splendid example of how economic theory can be of great practical significance. Tirole has developed deep analytical results on the essential nature of imperfect competition and contracting under asymmetric information; and he has distilled these theoretical results into a unified framework for teaching, policy advice and continued research.